Back to School for Country Landings and Loggers' Run! August 20th is around the corner! The first day of school for Country Landing I, Country Landing II and Country Landing III is just one week away! Can you believe how quickly the summer flew by?? What a summer it was! Huge movie box office releases, Mars Curiosity and of course the Summer Olympics. However, now we turn our attention to fresh boxes of crayons, new pens and pencils, notebooks with new pages, book covers and backpacks. One of my favorite resources for school supply shopping is Office Depot, they have a super web page that breaks down student needs by grade level (click here for Office Depot school supplies), it’s a convenient way to get a head start on shopping before supply lists are given out. 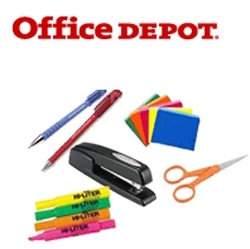 Another great reason to shop Office Depot for supplies? They have partnered with the Born This Way Foundation, a nonprofit foundation for youths led by Lady Gaga “to foster a more accepting society, where differences are embraced and individuality is celebrated.” Hey, if you're kids don't think you're cool yet, just tell them you're shopping for school supplies where Lady Gaga shops! School supplies are just one part of the back to school rush. Immunizations for new Palm Beach County students is a big task to complete before the school year. Here is a full list of requirements by the Florida Department of Health if your child is just entering kindergarten or is transferring from out of state Florida Immunization Requirements. The Palm Beach County School Board has set up a great website with FAQs and information for the new school year. If you have any questions about your Country Landing I, Country Landing II or Country Landing III student, regarding bus routes, registration, meal programs or anything else click here to find lots of helpful school information. There are three designated schools for Country Landing I, Country Landing II and Country Landing III students; Sandpiper Shores Elementary, Loggers' Run Community Middle School and West Boca Raton Community High School. Located directly across the street from Loggers' Run Middle School are the Shoppes of Loggers' Run. These shoppes are home to all sorts of kid friendly services; The Kumon Learning Center, The Players Edge Baseball Academy, West Boca Karate Center, Monkey Joe's (a children's play center) and Giggles Kids Salon. There is also Mama's Pizzaria and Packy's Sports Grill for easy school night meals. The morning of August 20th will be exciting for younger students and most likely dreaded by older ones. We don’t have any advice for Country Landing parents of teens that will surely battle the alarm clock next Monday, other than to say - soon they’ll be in college! For all you Country Landing parents with younger children that may be a little anxious about the first day of school; here is a cute little song we found that may help to ease their back to school nerves. I'm excited because it's my first day! I'm gonna learn and I'm gonna play! It is time for us to go, now. Check out the Loggers' Run FaceBook page for even more information on the communities of Loggers' Run! Would you like to take a tour of Country Landing I, Country Landing II, Country Landing III or any of the other Loggers' Run Communities? 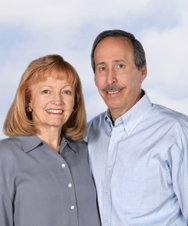 Call Dan and Linda Tublitz at 561-289-0289 or email your questions to TheTublitz Advantage.